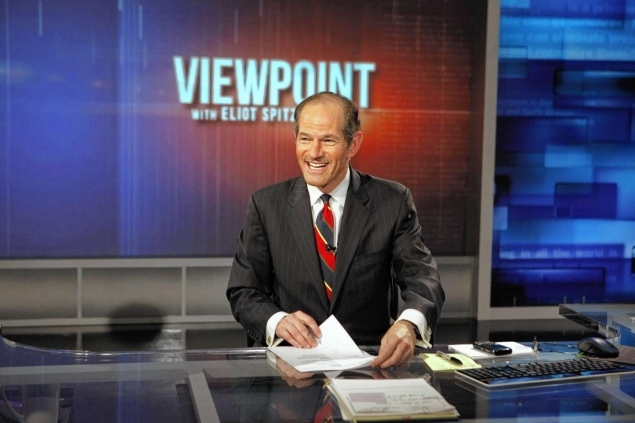 Eliot Spitzer explains why Republicans are lying yet again when they say Obama is holding companies back from producing more oil. Republicans love screaming that President Obama somehow won’t let American companies pump oil. That is so blatantly false that it brings us to our Number of the Day: 1 — That’s where we’re heading, the world’s number one producer of oil. The Associated Press reports that our output is rising that fast. We’ve already passed Russia to become the second largest producer. We could surpass Saudi Arabia by 2020. In fact, the more production numbers you look at, the more ridiculous the Republican arguments become. U.S. production of liquid hydrocarbons will probably end seven percent higher this year than last. The biggest gain in a single year since the Truman administration. Our dependence on foreign oil has dropped from sixty percent to forty-five percent in the last seven years, to the lowest percentage of imports since 1995. As for the price at the pump, Republicans keep comparing gas prices now with the cost right after petroleum, and every thing else in the U.S. economy, took a crash dive in late 2008. But in real numbers, the average price is about the same as four years ago this month. But while this points out the lying liars that Mitt Romney and Republicans are, and its great news for energy independence, it’s not so great news when it comes to climate change and the environment.